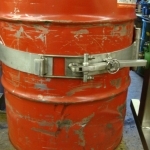 Grab-O-Matic ATEX Stainless Steel SC10-OH Drum Rotator is suitable for use in ATEX zone 1 or 2 spark proof areas or clean rooms. 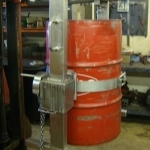 All parts are manufactured from stainless steel including the drum clamping system. 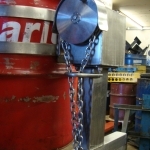 The unit can be hung from the hook of a crane or attached to the forks of a fork truck. Rotation is via a hand operated gear box which allows full control throughout the rotation process. 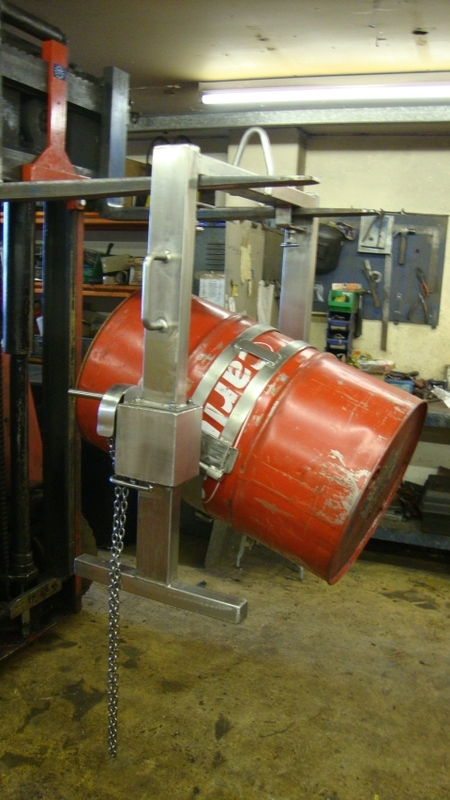 Optional extras include a chain wheel and chain for high level dispensing and webbing and ratchet clamping system and safety adaptor for use with plastic drums. Stainless steel units are available for clean room or Atex spark proof areas manufactured bespoke for customer requirements. 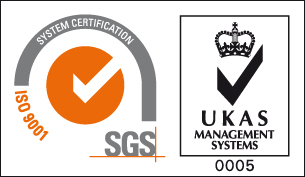 The adjustable overcentre clamping system is secured with a locking pin. Chain wheel and chain with boxed in gearbox.